In tradition and stereotype Arabs are noted for their hospitality. Yet Sharif Hussein, emir of Mecca and ruler of the surrounding Hejaz region, may be less than pleased to be entertaining the guests who have joined him today. They are none other than Ismail Enver and Ahmed Djemal, two of the three most powerful men in the Ottoman Empire of which Hussein is a subject. Enver and Djemal are preparing for a new attempt to attack the Suez Canal from the east. They are also concerned about the loyalty of their Arab subjects and are touring the region to assess the reliability of their various clients. Sharif Hussein is engaging in secret negotiations with the British but he protests his loyalty to the Ottoman Empire. Djemal and Enver give no impression of doubting his assurances, though they are probably aware of his treacherous intrigues. Their visit serves to intimidate Hussein, an unsubtle warning against rebellion. Enver & Djemal do not need to mention the ace card they can play against Hussein: his son Faisal is in Damascus, effectively under arrest by Djemal. He would face an uncertain fate should his father ever break with the Turks. 29/2/1916 Verdun: what is to be done? At Verdun German assaults continue but no real progress is being made. Near Fort Douaumont, now in German hands, the assault troops try to drive the French from the village of Douaumont itself. But stubborn resistance keeps the shattered village in French hands. Both sides suffer terrible casualties in the fighting. Now Falkenhayn, the supreme commander, meets with Crown Prince Wilhelm, the local commander, and Knobelsdorf, the Crown Prince’s chief of staff. 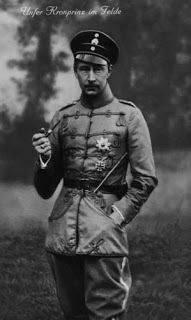 The Crown Prince resents Falkenhayn’s decision to hold back the reserves on the 25th and to leave the west bank of the Meuse unmolested at the start of the battle; he feels that these decisions have thrown away the chance of an early victory. But he agrees that the battle should continue, provided that Falkenhayn supplies more men and launches an assault on the west bank to relieve pressure on the east. Falkenhayn agrees. Preparations begin for a renewed stage of the offensive to begin on the 6th of March. New troops will be committed to the battle and the French will be attacked on the west bank and also on the extremity of their eastern flank, where Fort Vaux will be the initial target. 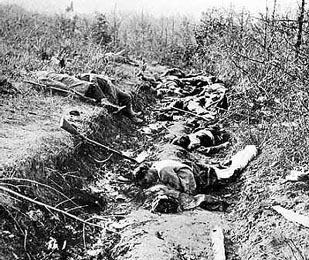 At Verdun Falkenhayn had planned to draw in French troops who could be killed by German guns, inflicting so many casualties that France would be forced to drop out of the war. Now he is feeding in more of his own men to the mincing machine. Perhaps Germany too will be bled white by the battle. Britain’s veiled protectorate over Egypt has been challenged by the Senussi, a Muslim religious order based in Libya. The Senussi launched an invasion of Egypt from the west, hoping to trigger a revolt that would chase out the Britishand bring Egypt back into the Ottoman Empire. This would have been a disaster for Britain, as the Suez Canal is a vital link in its communications with its possessions in India. However, after some early successes the Senussi campaign has petered out. Now the British are chasing them out of Egypt. Two days ago the British (with the assistance of their South African friends) smashed the main Senussi force in a battle like that from another era, fought by men on horseback hacking at each other with swords. Following this success the British reoccupy Sidi Barrani, scene of an early success by the Senussi. They make ready to press on towards the Libyan border post of Sollum and to secure the various oases that Senussi fighters have occupied. The Senussi invasion did not trigger an Egyptian revolt against the British. There has however been some pro-Senussi unrest, particularly in Alexandria. Now, though, with the Senussi star clearly in the descendant British prestige has been restored. For now the Egyptians are chastened, recognising that their British masters are not about to be dislodged. At Verdun the French and Germans have been fighting over a frozen wasteland. But now a thaw causes the snow to melt. Suddenly there is mud everywhere. For the French, this is a potential disaster. The one road into Verdun is not a metalled all-weather road and it begins to liquify, threatening to become an impassable swamp. If supplies cannot travel on this road then Verdun cannot be held, but desperate action saves the day. 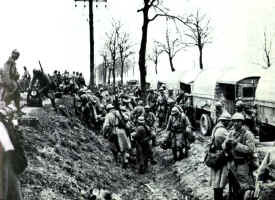 French troops line the road, throwing gravel under the wheels of the supply trucks, keeping the road passable. Verdun’s lifeline remains open. For the Germans the thaw is more of a problem. Because their infantry have advanced so far they now need to bring their artillery forward to support them. But moving artillery forward through the quagmire of the battlefield is extremely difficult. Without adequate artillery support the assault troops continue to struggle against the French defenders. The small Balkan country of Albania is in a disordered state, too preoccupied with its own affairs to want any part in the war convulsing Europe. Unfortunately it is unable to keep the war away from its borders. Italian troops have occupied Albanian ports, in accordance with the secret treaty that brought Italy into the war on the side of the Allies. The defeated Serbian army retreated through Albania on their way to the coast, helping themselves to the food and fuel of any Albanians who crossed their path. Now the Austro-Hungarians have launched their own invasion of Albania, primarily to deny it as a base of operations for the Allies. 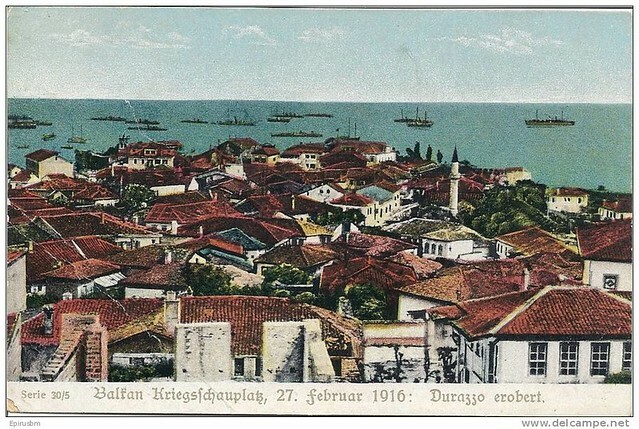 Deciding that discretion is the better part of valour, Italian troops abandon Durazzo (or Durres), the capital city; it falls to the Austro-Hungarians today without a fight. Essad Pasha, an Albanian warlord who has made common cause with the Allies, flees into exile with the Italians, establishing a government in exile in Naples. At Verdun the Germans are continuing to attack the French. A few days ago it seemed as though victory was in their grasp but now their progress is stalling. Pétain, the new French commander, has breathed new life into the defence, even as he is lying in his sick bed wracked with pneumonia. Reinforcements have stiffened the French defence. 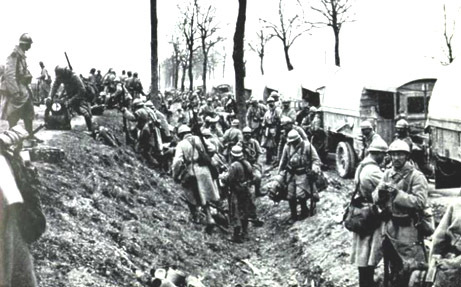 Britain’s Haig has reluctantly agreed to take over some of the French line elsewhere, so more French troops will be available for Verdun soon. The balance of artillery has also moved in the favour of the French. As the Germans advance, they are coming under evermore enfilading artillery fire from French batteries on the west bank of the Meuse. Falkenhayn had declined to attack here at the start of the campaign, as he wanted to maintain a reserve force in case of Allied counter-attacks elsewhere. The earlier advances of the German troops now mean they have begun to out-run their own artillery, which must be brought forward over the devastated ground of the battlefield before it can begin to batter the French again. The German troops are also exhausted after the heavy fighting of the last week. They have paid a heavy cost in casualties for the successes of the battle and find it increasingly difficult to fight on against the reinvigorated French. So today, despite the Germans’ best efforts, their attacks make no progress. Victory seems to be slipping away. The French have decided to hold Verdun come what may. General Pétain has been appointed to lead the defence. But now disaster strikes: the 60 year old general is struck down with pneumonia. Rather than change commanders again, Pétain is left to direct the battle from his sickbed. His condition is kept a closely guarded secret. Despite his sickness, Pétain manages to reinvigorate the defence. He orders the various forts around Verdun to be re-garrisoned: there is to be no repeat of the Fort Douaumont fiasco. He also has a secret last line of defence prepared around the inner fort surrounding Verdun, in case a last stand must be made at the gates of the town itself. Recognising the importance of keeping the defenders of Verdun supplied, he makes arrangements to ensure that the one good road into the town is kept open, despite whatever German artillery tries to throw at it. Regulations are put in place to ensure that traffic keeps moving on the road, as hold-ups could prove fatal to the defence. Pétain’s organisational energy and the reinforcements that have come with him are putting new life into the defence of Verdun. Its fall seemed imminent a few days ago but now it looks like the battle will go on.